You will trust God’s love. Is to be God's son. Begins when Christ forgives you. For God rules your heart. 191:0.1 Resurrection Sunday was a terrible day in the lives of the apostles; ten of them spent the larger part of the day in the upper chamber behind barred doors. They might have fled from Jerusalem, but they were afraid of being arrested by the agents of the Sanhedrin if they were found abroad. Thomas was brooding over his troubles alone at Bethpage. He would have fared better had he remained with his fellow apostles, and he would have aided them to direct their discussions along more helpful lines. 191:0.2 All day long John upheld the idea that Jesus had risen from the dead. He recounted no less than five different times when the Master had affirmed he would rise again and at least three times when he alluded to the third day. John's attitude had considerable influence on them, especially on his brother James and on Nathaniel. John would have influenced them more if he had not been the youngest member of the group. 191:0.3 Their isolation had much to do with their troubles. John Mark kept them in touch with developments about the temple and informed them as to the many rumors gaining headway in the city, but it did not occur to him to gather up news from the different groups of believers to whom Jesus had already appeared. That was the kind of service which had heretofore been rendered by the messengers of David, but they were all absent on their last assignment as heralds of the resurrection to those groups of believers who dwelt remote from Jerusalem. For the first time in all these years the apostles realized how much they had been dependent on David's messengers for their daily information regarding the affairs of the kingdom. 191:0.4 All this day Peter characteristically vacillated emotionally between faith and doubt concerning the Master's resurrection. Peter could not get away from the sight of the grave cloths resting there in the tomb as if the body of Jesus had just evaporated from within. "But," reasoned Peter, "if he has risen and can show himself to the women, why does he not show himself to us, his apostles?" Peter would grow sorrowful when he thought that maybe Jesus did not come to them on account of his presence among the apostles, because he had denied him that night in Annas's courtyard. And then would he cheer himself with the word brought by the women, "Go tell my apostles—and Peter." But to derive encouragement from this message implied that he must believe that the women had really seen and heard the risen Master. Thus Peter alternated between faith and doubt throughout the whole day, until a little after eight o'clock, when he ventured out into the courtyard. Peter thought to remove himself from among the apostles so that he might not prevent Jesus' coming to them because of his denial of the Master. 191:0.5 James Zebedee at first advocated that they all go to the tomb; he was strongly in favor of doing something to get to the bottom of the mystery. It was Nathaniel who prevented them from going out in public in response to James's urging, and he did this by reminding them of Jesus' warning against unduly jeopardizing their lives at this time. By noontime James had settled down with the others to watchful waiting. He said little; he was tremendously disappointed because Jesus did not appear to them, and he did not know of the Master's many appearances to other groups and individuals. 191:0.6 Andrew did much listening this day. He was exceedingly perplexed by the situation and had more than his share of doubts, but he at least enjoyed a certain sense of freedom from responsibility for the guidance of his fellow apostles. He was indeed grateful that the Master had released him from the burdens of leadership before they fell upon these distracting times. 191:0.7 More than once during the long and weary hours of this tragic day, the only sustaining influence of the group was the frequent contribution of Nathaniel's characteristic philosophic counsel. He was really the controlling influence among the ten throughout the entire day. Never once did he express himself concerning either belief or disbelief in the Master's resurrection. But as the day wore on, he became increasingly inclined toward believing that Jesus had fulfilled his promise to rise again. 191:0.8 Simon Zelotes was too much crushed to participate in the discussions. Most of the time he reclined on a couch in a corner of the room with his face to the wall; he did not speak half a dozen times throughout the whole day. His concept of the kingdom had crashed, and he could not discern that the Master's resurrection could materially change the situation. His disappointment was very personal and altogether too keen to be recovered from on short notice, even in the face of such a stupendous fact as the resurrection. 191:0.9 Strange to record, the usually inexpressive Philip did much talking throughout the afternoon of this day. During the forenoon he had little to say, but all afternoon he asked questions of the other apostles. Peter was often annoyed by Philip's questions, but the others took his inquiries good-naturedly. Philip was particularly desirous of knowing, provided Jesus had really risen from the grave, whether his body would bear the physical marks of the crucifixion. 191:0.10 Matthew was highly confused; he listened to the discussions of his fellows but spent most of the time turning over in his mind the problem of their future finances. Regardless of Jesus' supposed resurrection, Judas was gone, David had unceremoniously turned the funds over to him, and they were without an authoritative leader. Before Matthew got around to giving serious consideration to their arguments about the resurrection, he had already seen the Master face to face. 191:0.11 The Alpheus twins took little part in these serious discussions; they were fairly busy with their customary ministrations. One of them expressed the attitude of both when he said, in reply to a question asked by Philip: "We do not understand about the resurrection, but our mother says she talked with the Master, and we believe her." 191:0.12 Thomas was in the midst of one of his typical spells of despairing depression. He slept a portion of the day and walked over the hills the rest of the time. 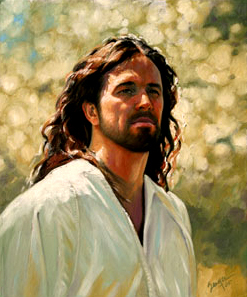 He felt the urge to rejoin his fellow apostles, but the desire to be by himself was the stronger. 191:0.13 The Master put off the first morontia appearance to the apostles for a number of reasons. First, he wanted them to have time, after they heard of his resurrection, to think well over what he had told them about his death and resurrection when he was still with them in the flesh. The Master wanted Peter to wrestle through with some of his peculiar difficulties before he manifested himself to them all. In the second place, he desired that Thomas should be with them at the time of his first appearance. John Mark located Thomas at the home of Simon in Bethpage early this Sunday morning, bringing word to that effect to the apostles about eleven o'clock. Any time during this day Thomas would have gone back to them if Nathaniel or any two of the other apostles had gone for him. He really wanted to return, but having left as he did the evening before, he was too proud to go back of his own accord so soon. By the next day he was so depressed that it required almost a week for him to make up his mind to return. The apostles waited for him, and he waited for his brethren to seek him out and ask him to come back to them. Thomas thus remained away from his associates until the next Saturday evening, when, after darkness had come on, Peter and John went over to Bethpage and brought him back with them. And this is also the reason why they did not go at once to Galilee after Jesus first appeared to them; they would not go without Thomas. Mark 16:7 (same) "But go your way, tell his disciples and Peter that he goeth before you into Galilee: there shall ye see him, as he said unto you." 191:1.2 When Peter thought of the loving look of the Master as he passed by on Annas's porch, and as he turned over in his mind that wonderful message brought him early that morning by the women who came from the empty tomb, "Go tell my apostles—and Peter"—as he contemplated these tokens of mercy, his faith began to surmount his doubts, and he stood still, clenching his fists, while he spoke aloud: "I believe he has risen from the dead; I will go and tell my brethren." And as he said this, there suddenly appeared in front of him the form of a man, who spoke to him in familiar tones, saying: "Peter, the enemy desired to have you, but I would not give you up. I knew it was not from the heart that you disowned me; therefore I forgave you even before you asked; but now must you cease to think about yourself and the troubles of the hour while you prepare to carry the good news of the gospel to those who sit in darkness. No longer should you be concerned with what you may obtain from the kingdom but rather be exercised about what you can give to those who live in dire spiritual poverty. Gird yourself, Simon, for the battle of a new day, the struggle with spiritual darkness and the evil doubtings of the natural minds of men." Luke 22:31-32 (same) "And the Lord said, Simon, Simon, behold, Satan hath desired to have you, that he may sift you as wheat: But I have prayed for thee, that thy faith fail not: and when thou art converted, strengthen thy brethren."